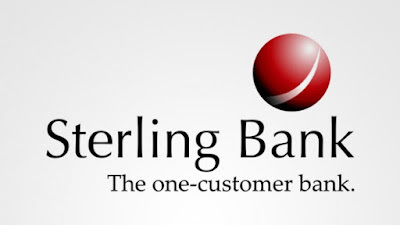 Sterling Bank Plc is a full service national commercial bank licensed by the Central Bank of Nigeria. Its shares trade under the Banking sector of the Nigerian Stock Exchange with the symbol STERLNBANK. The bank provides services to individuals, small businesses (SMEs) and large corporations. As of December 2016, the bank's branch network numbered 187, distributed throughout Nigeria with total assets valued in excess of NGN:834 billion and shareholders' equity estimated at about NGN:85.6 billion).